Portuguese virtuoso Artur Pizarro makes a welcome return to the Romantic Piano Concerto series with the outpourings of two brilliant pianist-composers. Their names may not be familiar to listeners today. The Brazilian Henrique Oswald and the Portuguese Alfredo Napoleão were born in the same year, less than three months apart, when Schumann, Brahms and Liszt were alive and Chopin recently deceased. Both were of mixed European heritage: Oswald with a Swiss-German father and Italian mother, Napoleão with an Italian father and Portuguese mother. Both were child prodigies who became widely travelled concert pianists, pedagogues and composers. In 1868 Oswald gave his ‘farewell recital’ and left Rio de Janeiro to study in Europe; Napoleão went to Brazil. Oswald’s Piano Concerto in G minor, Op 10, dates from about 1886, the year he met Liszt. Although influences of Fauré can be detected in the second theme, the overall character of the first movement owes more to the late Romantic German style. The orchestration is rich and full, but the Tchaikovskian athleticism and virtuosity of the piano-writing keep the soloist to the fore. Napoleão’s Piano Concerto No 2 in E flat minor, Op 31, is undated but was probably composed around the same time as Oswald’s Piano Concerto. Although Napoleão performed the concerto in a solo piano version, the first performance with orchestra had to wait until 12 February 1941. This was given by Evaristo de Campos Coelho (1903–1988)—with whom Artur Pizarro, the pianist on the present recording, studied as a young child. He played the work numerous times, and performed it for Portuguese radio. 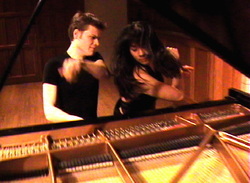 Dinorah Leitão (who was Ivo Cruz’s daughter in law, and also a student of Campos Coelho) then played it, and Artur Pizarro is only the third pianist to champion this work. The great Romantic spirit touched the lives and works of the two brilliant pianists–composers represented here: the Brazilian Henrique Oswald (1852–1931) and the Portuguese Alfredo Napoleão (1852–1917). Many similarities exist between them. Born in the same year, less than three months apart, when Schumann, Brahms and Liszt were alive and Chopin’s demise was still a fresh wound, both were of mixed European heritage: Oswald with a Swiss-German father and Italian mother, Napoleão with an Italian father and Portuguese mother. Both were child prodigies who became widely travelled concert pianists, pedagogues and composers. The year 1868 was a turning-point for the two sixteen-year-olds. Oswald gave his ‘farewell recital’ and left Rio de Janeiro to study in Europe; Napoleão went in the other direction, to Brazil, to seek his fortune. They were each heard by the magnanimous monarch of Brazil, Dom Pedro II (who reigned from 1831 until the monarchy was abolished in 1889): Napoleão in 1869 in Rio, and Oswald in 1879 in Florence. Both musicians experienced life beyond the monarchy, but only Oswald lived beyond World War I. Their paths almost certainly crossed in Brazil, as they were both published by Napoleão’s elder brother, Artur. They each returned to their native countries, where they died. Both became ‘prophets in foreign lands’. In an era before recordings, only contemporary reports and their compositions can tell something about how they played. As composers, they knew their craft well. Henrique Oswald grew up in a musical environment. At the age of one he travelled by ship from Rio de Janeiro to Santos with his mother en route to the thriving city of São Paulo, where his father opened a beer factory and, in 1857, a piano store. The ill-fated ship caught fire, causing Henrique to remain traumatized throughout his life by the sound of explosions. Oswald’s mother was his first piano teacher. His first piano recital took place when he was around six or seven years old. Following his mother’s tutelage, he studied with Gabriel Giraudon before going to study in Europe. Planning to study with Hans von Bülow (1830–1894), Oswald instead opted for Florence where he entered the Istituto Moriani. There, he studied counterpoint, harmony and composition, and piano with Henry Ketten and Giuseppe Buonamici. At Buonamici’s house Oswald met Johannes Brahms and Franz Liszt; in 1886, the year of Liszt’s death, Oswald spent a few days with the great man in Florence, when they played some of their works for each other. In 1881 Oswald married Laudomia Bombernard Gasperini, and the couple went on to have five children. He became well known in Italy, although he returned regularly to Brazil for concert tours—while there in 1889 he met Camille Saint-Saëns, who was impressed with the young composer, and together they performed the French composer’s Scherzo, Op 87, for two pianos. Back in Europe, Oswald was appointed to the diplomatic service—first in the Brazilian Consulate in Le Havre in 1900, and later in Genoa—but such bureaucratic work was not in his artistic veins. In 1902 Oswald entered a composition competition sponsored by the French newspaper Le Figaro. From the 647 manuscript entries from Asia, Persia, Egypt, North and South America and Europe, Oswald’s piano piece Il neigeunanimously won the first prize. The prestigious jury was led by Saint-Saëns and also included the composer Gabriel Fauré and the pianist Louis Diémer. In 1903 Oswald was named Director of the Instituto Nacional de Música (INM) in Rio de Janeiro, where he served until 1906. In 1904 he again met Saint-Saëns and performed a recital for two pianos, including the elder’s Africa Fantasy and Scherzo, in Rio de Janeiro, the city where Oswald would reside permanently from 1909 until his death. 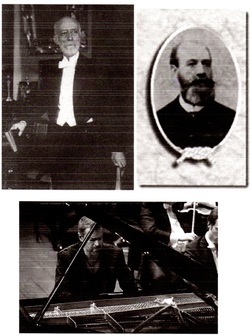 In 1909 Oswald performed his Piano Concerto at the INM under the baton of its director, Alberto Nepomuceno, soon assuming a teaching position there. Oswald came into contact with the leading musicians of the day who were in Brazil, including Darius Milhaud, who was a frequent visitor to his home. Only later in life did Oswald use Brazilian elements in some of his works, although many of his students, such as Lorenzo Fernández, became associated with the nationalistic wave. Oswald’s final phase was devoted to religious compositions, as a result of his son Alfredo—a pianist who promoted his father’s music and a professor at Peabody Conservatory—taking religious orders. Henrique Oswald died on 9 June 1931, shortly after two concerts of his music were given at the Theatro Municipal do Rio de Janeiro. It has been said that Oswald wrote ‘the most refined piano music in the history of Brazilian music’, and the pianist Artur Rubinstein called him ‘the Brazilian Gabriel Fauré’, although Oswald’s music lost favour after the ‘Semana de Arte Moderna’ (Modern Art Week) in São Paulo in 1922, which marked the start of Brazilian modernism as a creative force and brought with it a preference for nationalistic music. Nevertheless, Oswald continued to compose music in all genres. French elements strongly permeate his work, although an occasional Russian or Brazilian flavour, as in his Symphony, Op 43, can be heard. 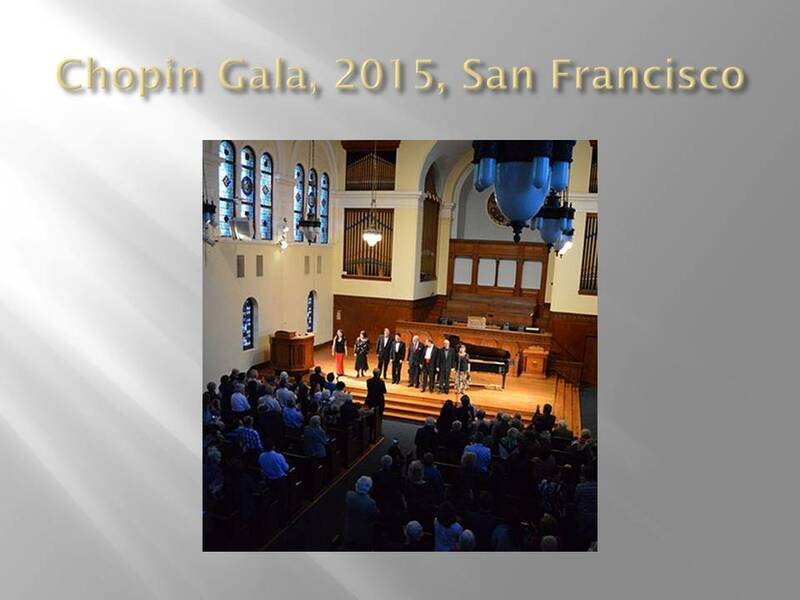 He admired the contemporary works of Vladimir Rebikov, with his use of atonality, rich harmonies and unusual rhythms. Oswald received three important recognitions in Europe: the Médaille du roi Albert (Belgium, 1920), Palmes académiques (France, 1928), and Chevalier de la Légion d’Honneur (France, 1931). Oswald’s Piano Concerto in G minor, Op 10, dates from about 1886, the year he met Liszt, and is dedicated to his teacher Buonamici. Although influences of Fauré can be detected in the second theme, the overall character of the first movement owes more to the late Romantic German style. The orchestration is rich and full, but the Tchaikovskian athleticism and virtuosity of the piano-writing keep the soloist to the fore. The lush and sensual second movement offers an oasis of calm. Its Hollywood-esque sentimentality is given substance by a striking harmonic inventiveness. The jovial third movement continues attacca; this is a tarantella that gives free rein to Oswald’s Italian roots in a spirited homage to Rossini. Oswald cannot contain his penchant for lyricism, the soloist introducing gentle chordal progressions over the orchestra’s ostinato rhythmic figures in the middle section. The concerto ends with a traditional display of bravura. Oswald made a version of the concerto for piano quintet in 1890, and the two-piano score is dated 1892. Like Oswald, Alfredo Napoleão grew up in a musical family. His father, Alexandre Napoleão, was a musician, and his brothers Artur (1843–1925) and Annibal (1845–1880) also became pianist–composers. Artur went on to become one of the most successful music publishers in Brazil. Their mother, Joaquina Maria dos Santos, died when Alfredo was only a year old. He then was cared for by his maternal grandmother in a city near his birthplace of Porto while his father worked in London. In 1858 his father brought him to live in London, where he studied with a certain Professor Wood (not to be confused with Sir Henry Wood of Proms fame), who was also married to a Portuguese woman and who eventually established a school in Lisbon. Alfredo continued his studies with him until 1868, when he joined his brothers in Brazil in order to pursue his career. In Brazil Napoleão first worked in a piano store in Rio de Janeiro. In 1869 he gave his debut recital at the Teatro Lírico, attended by Dom Pedro II, with great success. After touring Rio Grande do Sul and Rio da Prata, Alfredo took up residence in Buenos Aires, Argentina, and Montevideo, Uruguay, where he taught the piano. In 1879 he returned to Rio and toured the northern Brazilian provinces, staying for two years in Pernambuco where he also taught the piano. During these years in South America Alfredo was at the height of his fame. In 1882 he returned to Portugal, giving concerts in Lisbon and Porto, where he received glowing critical acclaim; he was equally appreciated in London and Paris. In 1889 he returned to Brazil and gave many concerts throughout the entire South American continent. He finally returned to Porto, the city of his birth, in 1891, where he taught the piano and performed both there and in Lisbon. As a pianist, Alfredo Napoleão was a great interpreter of Bach, Beethoven and Schumann, and he and his brother Artur did much to promote Luso-Brazilian music, including their own. As a composer, Alfredo wrote four piano concertos and a Polonaise for piano and orchestra, an Ouverture symphonique for large orchestra, chamber music, and sonatas and shorter works for solo piano. Napoleão’s Piano Concerto No 2 in E flat minor, Op 31, is undated but was probably composed around the same time as Oswald’s Piano Concerto. It is dedicated to the Portuguese King Luís I, whose reign ended in 1889, the same year as that of Dom Pedro II in Brazil. Although Napoleão performed the concerto in a solo piano version, the first performance with orchestra had to wait until 12 February 1941. This was given by Evaristo de Campos Coelho (1903–1988)—with whom Artur Pizarro, the pianist on the present recording, studied as a young child—and the Orquestra Filarmónica de Lisboa, conducted by Ivo Cruz, at the Teatro da Trindade in Lisbon. Evaristo de Campos Coelho played the work numerous times, and performed it for Portuguese radio. Dinorah Leitão (who was Ivo Cruz’s daughter in law, and also a student of Campos Coelho) then played it, and Artur Pizarro is only the third pianist to champion this work. The unusual first movement opens with a mysterious and sombre string statement, while the virtuoso piano part owes much to Chopin’s E minor Piano Concerto in its idiomatic approach. The short ternary-form second movement in B major is a sparkling Scherzo in the vein of Mendelssohn or Saint-Saëns. The contrasting trio section is in the style of a Barcarolle, including a romantic duo for the pianist and French horn. The third movement’s rousing beginning takes us into the world of an Offenbach operetta, and gives the pianist plenty of scope for brilliant display. The second theme’s ‘music box’ charm gracefully dances in canonic play. Following the recapitulation Napoleão recalls themes from the first two movements, including the Barcarolle-like idea. This final masterstroke brings a sense of nostalgia evoked by the Portuguese word saudade—a longing for something lost in time—before the coda signs off with can-can-style exuberance. Nancy Lee Harper © 2014 at http://www.hyperion-records.co.uk/dc.asp?dc=D_CDA67984&vw=dc.